My first Soap in Years! I’m currently looking for a new (local) employer, so I have a lot of downtime that I can use to get creative. Cooking and Blogging is one thing, but I always had a bit of a DIY streak. That includes a variety of areas and always occurs in phases. This time it’s soaping. 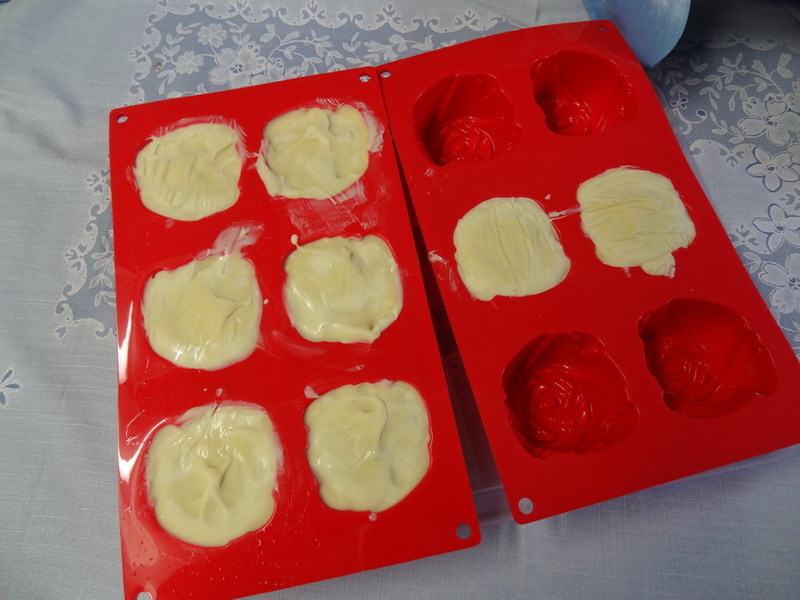 I first got into making my own soaps a couple of years ago when I lived in Nuremberg. Since I was new to the city and didn’t know a lot of people outside of work, I started to delve into things that I could do on my own and in my own apartment. One thing was cooking, the other: soaping. It uses a lot of similar ingredients and tools and both involves science. Extra pro: You save a lot of money when you don’t buy overpriced drug store soaps and cosmetics, that usually are loaded up with petrol derivatives and other chemicals. Per Definition, Soap is a salt of a fatty acid, the result of a chemical process called saponification. Fats and oils are mixed with a base (the opposite of acid). The base reacts with the triglycerides in the fats and forms soap, leaving glycerin (known for its moisturizing properties) as a byproduct. Soap recipes are formulated by their type of use, read more about this on soaphistory.net and about ingredients and their properties here. When mixing the lye with distilled water, the jug will get hot. REALLY hot. Exothermic reaction and all that. Also, lye makes nasty burns on your skin, and if it gets in your eye, you might go blind. So please wear appropriate safety gear. If you get something on your skin, splash some regular white vinegar on top, as it will neutralize the lye. There are a couple of good videos on Youtube that explain Lye safety. I selected one of them by soapqueentv. And do NOT keep your kids around. called „Earthling“ because I’ve scented it with and earthy fragrance oil modeled after a well-known beauty product line for men. 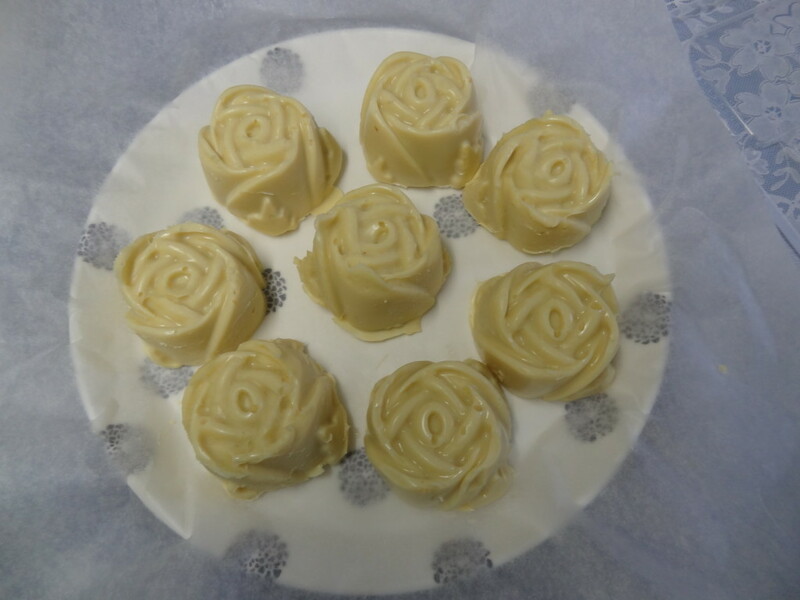 The recipe filled 8 rose-shaped silicone molds. I will weigh each piece of soap after they have finished curing.